Summer is finally over. I'm so excited. I mean, I like sunshine and all but this summer was loooong. And dry. And just really, really hot. I'm used to like 6 weeks of summer, maybe. This one started in June and just wouldn't quit. The rains finally came this week and I am so so so excited. Drinkin' tea, snuggling inside, not feeling guilty for snuggling inside. I'm sure I'll sing a different tune in a couple of months when I'll have a horrible case of cabin fever but for now I'm in heaven. Esspecially because colder weather = sweaters. And I do love me some sweaters. 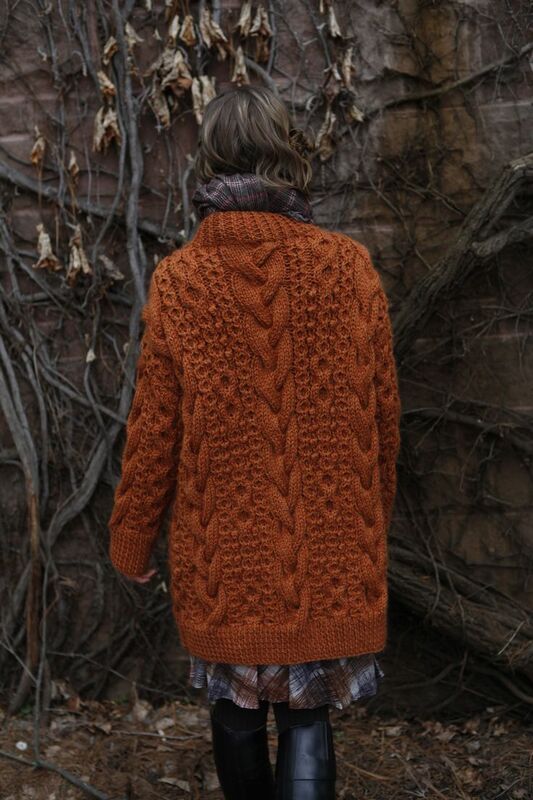 - Penny Arcade by Vicki Howell - I didn't think this could be true but this is a free pattern on Yarnspirations. I've been coveting this for awhile but never really looked into it until today. Guess I'll have to break out a crochet hook. And learn how to crochet better. - Kaide in Norah Gaughan, vol. 09 - Cables. That is all. 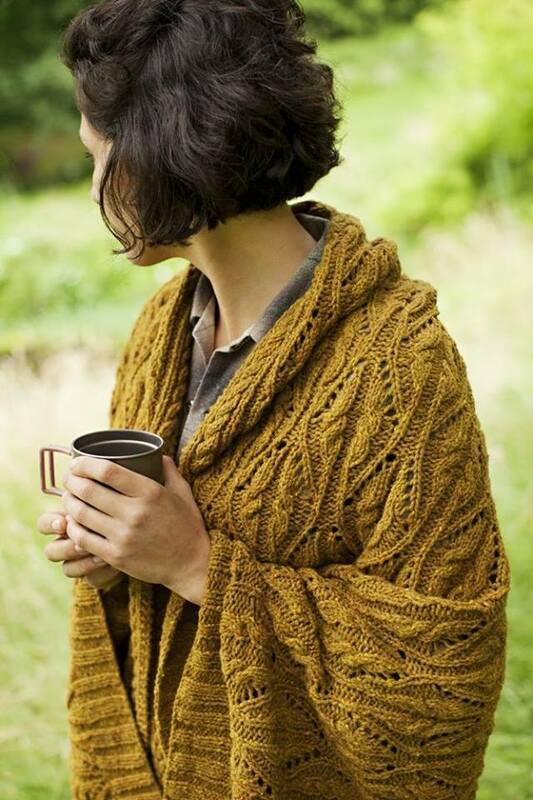 - source unknown* - And this is just a big lacy blanket you can wear out in public. Perfect.